This project aims to let you profile and debug any running Python program, even if the program is serving production traffic. While there are many other python profiling projects, almost all of them require modifying the profiled program in some way. Usually, the profiling code runs inside of the target python process, which will slow down and change how the program operates. This means it's not generally safe to use these profilers for debugging issues in production services since they will usually have a noticeable impact on performance. 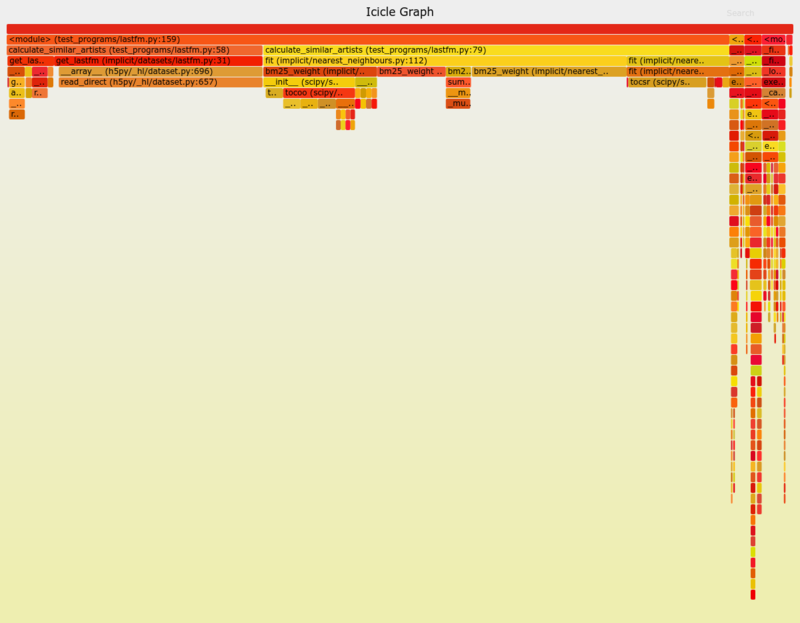 The only other Python profiler that runs totally in a separate process is pyflame, which profiles remote python processes by using the ptrace system call. While pyflame is a great project, it doesn't support Python 3.7 yet and doesn't work on OSX or Windows. This entry was posted in Computer, Murmuring, Programming, Software and tagged bottleneck, performance, profiling, py, python, spy on September 8, 2018 by Gea-Suan Lin.